Dogecoin might have lost some of its bite lately but there was much bark on the internet about it for sure. With some analysts predicting that the currency has ran its course, we might just feel those DOGE teeth sink back into the market in 2019. Here are couple of scenarios that could play out for Doge in 2019 in beyond (should it survive this year). Ever since its founder Jackon Palmer departed the community in 2015, the development has waned and prophecies about imminent Dogecoin death started floating around. However, as one of the Doge developers told CoinDesk back in 2017, it is pretty hard to “kill a cryptocurrency”. Some might call a valueless cryptocurrency ‘dead’, but that would be missing any educational or entertainment value the token might provide. For instance, Nicoll said even after the 2014 fork, shibes were moving the old version of the coin around for about five or six months. “It was a functional currency, but you couldn’t use it at shops or on exchanges. We don’t know why they were doing it, but they were having a whale of a time,” he said. Dogecoin was originally created as a joke, referencing a meme about a funny-looking Shiba Inu dog that gained wide popularity on the internet. Doge is already ahead of the curve and is functional as it is, so an often outcry for ostensible lack of development is not grounded in solid logic. Why change a winning team? The protocol is working, developers deploy minor tweaks as necessary to keep the train running, community is using it with no issues so the so much sought development is inessential. There is also a false comparison made by some crypto fans – fixing a broken protocol is a must if you want to survive (looking at you Ethereum), changing a working protocol is not only non-essential but also uninvited. The discrepancy in development activity is a logical consequence of such state of affairs. Since its creation, the cryptocurrency’s popularity and value has achieved stratospheric heights. A passionate online community has developed over the years with many loyal supporters of the coin. The community has done some incredible things with Dogecoin, from utilizing the cryptocurrency to raise fundsfor the Jamaican bobsled team to go to the Sochi Winter Olympics to funding a project to build a well in rural Kenya to provide access to drinking water. What is the better crypto exchange: Coinbase or Kraken? In the sidebar of their subreddit there is a list of charity events in which community takes part. It has the ongoing DogecoinSocksForTheHomeless Which has been ongoing for well over a year now. Dogecoin Folding The longest ongoing charity related thing for Dogecoin. There is also DogePizza which is more sporadic than the previous two. “Actually I can, and I can back it up factually. 1.10 has only been out barely 3 years, it turned 3 on the 10th of this month. Biggest ace in the sleeve for Doge future is its current most frequent application as a tipping currency. With websites like Litebit, Anycoin, Suchlist, keys4coins, dogegifts, clockworkcrypto and an official Reddit tip bot (there is talk of a Telegram tip bot as well), more and more ways of spending your DOGE are popping up by the day. Check out our list of top LTC wallets. Dogecoin is very much in line with the United States’ “tip culture”, and with the rise of reward culture on the Internet in the world, Dogecoin will also be widely used. Compared to expensive Bitcoin, the threshold for Dogecoin is even lower, and it’s much cuter. 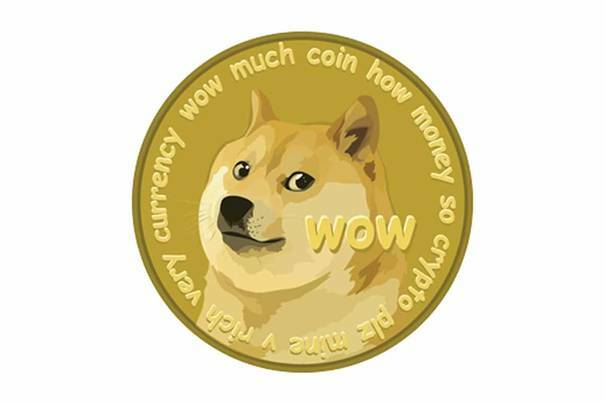 Dogecoin could become the most popular “tip cryptocurrency” in the U.S. Internet. Despite the bear beating the Doge during this extended period of crypto slaughter, 1 Doge is still worth 1 Doge and much wow is not going anywhere!